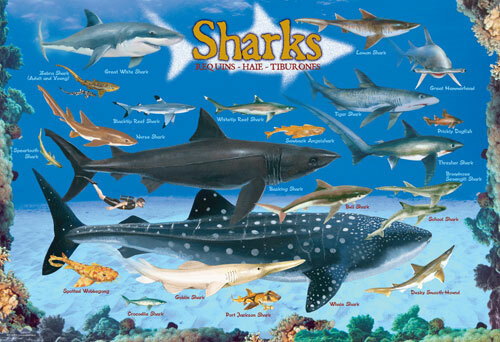 Sharks is a 100 piece jigsaw puzzle for kids from Eurographics. Kids will love to learn about over 20 shark species with this educative jigsaw puzzle. Puzzle measures 13" x 19" when complete. This is a Christmas present so it has not been opened as of yet Service was fast!